The area of the Mundon Creek administered by the club, due to the tidal conditions plus the depth and width of the channel, is not suitable for vessels in excess of 8.3m. (27 ft.). The club does not lay or maintain moorings or provide mooring tackle, other than small marker buoys. Mooring holders have to supply their own mooring tackle and lay and maintain their own moorings. 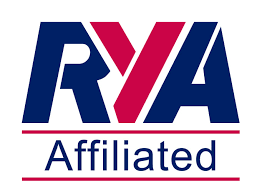 The club therefore accepts no responsibility for the condition of moorings other than its own or any liability for loss caused by defective moorings or any other liability arising from the laying or use of moorings. Applicants for moorings are required to complete an application form and submit it to the Hon. Club Secretary together with a cheque payable to Maylandsea Bay Sailing Club for the Registration Fee (non-members only) and the appropriate Annual Mooring Fee. Click on this link to download a copy of the application form. [Link to MBSC mooring app.form].Completed application forms and cheques should be sent to the Secretary at the address below. The Annual Mooring Fees are fixed by Maldon DC in January each year. The Club collects the fees from mooring holders and accounts to the Council for the fees less a management charge. The Club gives a discount to its members against the fees fixed by the Council. The Club will invoice mooring holders for Annual Mooring Fees in March each year and they are payable by 30th April. Mooring Holders who have not received an invoice by 31st March should contact the Hon. Club Secretary. Maldon District Council rates 2018. Mooring Holders must have 3rd Party insurance for a minimum sum insured of £500,000 for each and every incident. They must notify the Club in writing of any limitation on the period of cover and must remove the boat from the water during the period when the boat is not covered. Mooring Holders must comply with the Council's Mooring Regulations. Follow this link to view Regulations. [Link to MDC Mooring Regs]. The Council has given the Club full discretion as to the location, laying and removal of moorings in the area. Mooring buoys must comply with the Council's specification. The Club can provide free of charge mooring buoys supplied by the Council. Mooring holders must maintain their moorings in good condition to the reasonable satisfaction of the Council and must carry out any works of repair or maintenance required by the Council. The Club does not accept responsibility for the condition of any moorings or liability arising from defective moorings except its own. Mooring Holders should refer to Hon. Secretary if any problems or disputes arise in relation to their moorings and they will endeavour to resolve them. If there is any dispute which they are unable to resolve satisfactorily, it may be referred either by the Club or the mooring holder to the Council's River Bailiff. (contact details are included in the MDC Mooring Regulations). Full details of MDC River Blackwater information can be found on their website at Moorings on the river .